The Circuito San Juan Villicum will host its inaugural round of the World Superbike Championship, Round 12 of the 2018 season. As a new venue for the entire grid, the circuit presents a level playing field with no previous setup data for teams to work from. Leon Camier is looking to build off their pace in France, where they improved on their CBR1000RR Fireblade SP2 machines each session. 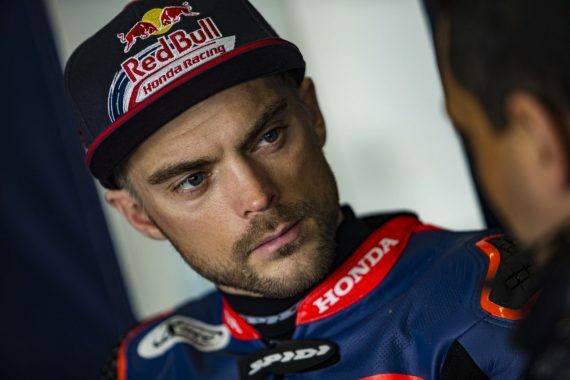 Camier is expecting a busy weekend of setup work without any previous reference for riding at the track. The opening sessions will be crucial for understanding the direction for the remainder of the weekend. Riders will get their first taste of the circuit on Thursday during the track walk, but Villicum looks set to present a sizeable challenge with its 19 corners and 1 kilometre long straight. The eight right hand corners and 11 lefts present a mix of fast and flowing corners, such as Turn 5, and tight technical sections as from Turn 13 to 16. Speaking ahead of the weekend, Camier said: “I’m looking forward to getting the weekend started after finding some more lap time and direction with the bike in Race 2 in France. Fingers crossed we can carry on and keep improving. “Obviously it’s a new track so it is difficult to know where we will be at the minute. Until we start the weekend and figure it out, it’s an unknown for everyone. There are lots of things to sort out like gearing, electronics and there are no references for anything, a lot to learn in the first few sessions. “No one has ridden on the track before so we need to see how the track holds up, what tyre life is like. Everything is an unknown, it’s going to be a tricky weekend but the same for everyone. This entry was posted	on Thursday, October 11th, 2018 at 8:59 am	and is filed under Motor Racing. You can follow any responses to this entry through the RSS 2.0 feed. Both comments and pings are currently closed.